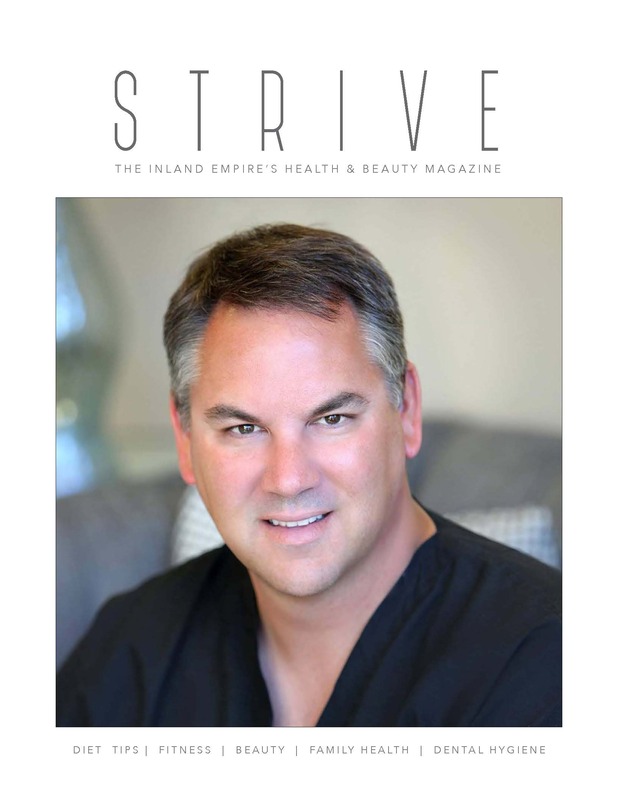 Strive will be the most upscale, elegantly designed Health & Beauty magazine in the Inland Empire. Making it even more unique, editorial content will be presented by local physicians, dentists, plastic surgeons, dieticians and other health care professionals. We will mail our magazine to every owner occupied home in Eastvale, Norco and North Corona. You may review everything you need to know, including our references from top health professionals, to make an informed decision about advertising by scrolling down the page. Success comes from building an upscale brand and distinguishing yourself from among the many health & beauty providers in the local area. How is this done? By presenting your brand in an upscale marketing platform that reaches as many affluent home owners as possible. Because the overwhelming majority of home buyers come from the local South Bay area, there is no better way to market your brand and listings than to be in the mailbox and on the coffee table of every owner-occupied home on the Beach and 58% of the home owners on the Palos Verdes Peninsula. Impress potential clients during listing meetings by taking Discover Magazine with you and showing the potential client that you plan to market their home in an upscale, exciting and professional manner in the only magazine reaching every home owner on the Beach and 58% of the Palos Verdes Peninsula. Strive Magazine will be direct mailed to every occupied home owner in Eastvale, Norco and North Corona. You will never see Strive Magazine laying in the driveway, hanging from door knobs, or out in the street. We provide each client a certified proof of mailing each time we publish. Success comes from building an upscale brand and distinguishing yourself from among the many real estate agents in the South Bay. How is this done? By presenting your brand and client’s listings in an upscale marketing platform that reaches as many affluent home owners, buyers and sellers as possible. Professionals in the Inland Empire Say About Scott Media Group. I love this magazine, my clients love it, and I get lots of phone calls on my listings. This is a beautiful magazine. The distribution of this magazine is amazing. 30,000 home owners by direct mail? What more can a realtor ask for? This magazine is very classy, beautifully designed and mailed to 30,000 homes. I am a supporter. This is a great magazine that offers style & elegance. Chris & his daughters are great to work with. Chris is the Publisher and Marketing Director. He has over 20 years of experience in Real Estate Marketing & Publishing. Discover Magazine is his special baby. Jessie is the General Manager & Chris’ Daughter. She also has years of experience in publishing magazines. She keeps us all in line, even Chris. Gladys is the “Brains” of the operation. Trusted and efficient, she sells ads and does a little bit of everything else too. Will we keep her forever? Absolutely. Maria is smart, very energetic, and handles sales for us. She is experienced, efficient, pleasant to work with, likes her job, and she gets it done.